Somewhat tight and technical. Lots of logs. Left into woods right after metal barrier. Trail still new and somewhat soft. Bring your log hopping skills. Trail is still underconstruction but relatively small are surounded by suburbia. Review: What an amazing place. Only my 5th time here and im in love with meadowlark. Although i have little to compare meadowlark to(ive only been to edgewood and bethpage in my 3 months mountain biking) i cant imagine a better place to ride. Just when u think your lost, going the wrong way or have repeated a run by accident meadowlark reminds you that you did NOT by introducing a new obstacle. Its also the perfect workout..,consistently 45 minutes for me to complete without stopping. Review: Great new trail markers. Thanks!! Review: First time on the trail and I wasn't disappointed. Tight and compact but extremely well maintained. Lots of log jumps and tight turns. Fun, fun, fun!!! Review: great local spot new features are always being added and current ones are being maintained and cared for. Review: My first time there and absolutely not disappointed! It's a small loop but they jammed in a lot of fun,technical features! It was a great ride and well maintained trails! Top 3 Long Island This, glacial ridge and Cunningham are all very well done! Review: Difficult to run as it is very overgrown in many places. 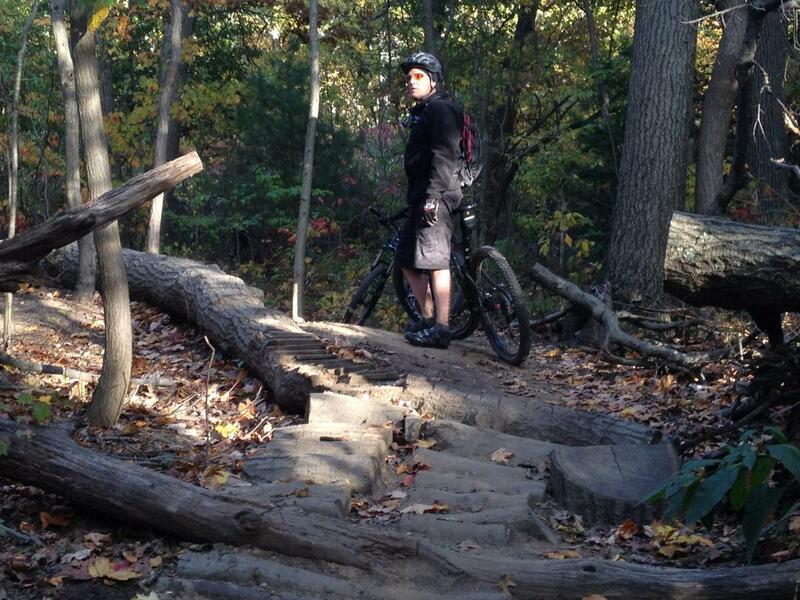 Review: One of the best trails on Long Island. There are log rollovers, lots of climbs and a newer section with some old broken concrete action. Really fun! Review: Super fun trail on LI- technical (roots,rocks,short uphills,twisties) and just a blast. Wish it was longer! CLIMB did an amazing job on this trail and the upkeep is consistent- new features being added all the time. Highly recommend. Meadowlark Park MTB Trail 4.21 out of 5 based on 25 ratings. 25 user reviews.